As we all know, Minecraft 1.12/1.11.2/1.10.2/1.9.4 and all the upcoming versions will now be shipped with new Minecraft Launcher which entirely changes the procedure for installing new modifications and texture packs (which are now called Resource packs).Many people are having difficulties while modding their Minecraft and they often end up crashing/corrupting the game. So, here is a step-by-step guide with screenshots for installing mods in v1.6.4 and onwards. 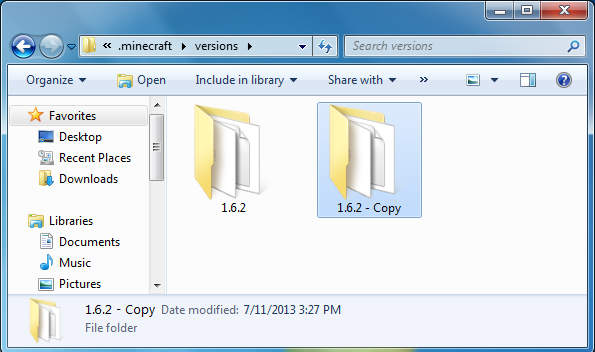 Note: This guide was written when Minecraft 1.6.4 was release, however it is still compatible with Minecraft 1.8.8. Mods based on Forge are easy to install once you have the API after that all you have to do is to Drag n drop. 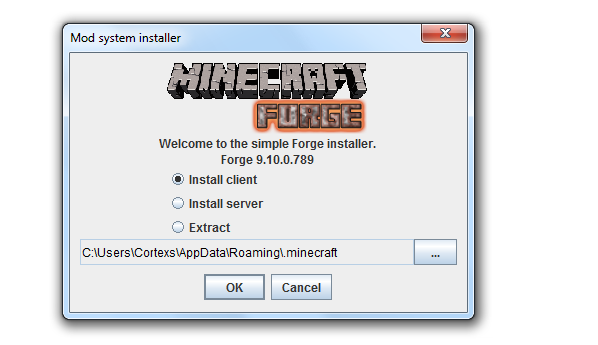 Download the latest installer of Minecraft Forge (it comes with .jar extension). Run the installer and click [OK]. Then it will prompt you “Successfully installed Forge client profile” etc. Now you need to Run the Minecraft Launcher, from the right dropdown menu, select Forge profile. Enter your username and password and click [Login]. It will download the necessary files and start Minecraft. You need to do this step or Forge will not install properly. Close the game after that. Go to Run or Open Start Menu and type %appdata%/.minecraft and press Enter. You will see a folder named Mods open it. Put the mod zip file into that folder, don’t extract it. Now, Start Minecraft again using the Forge profile. Click the [mods] from menu. You’ll see a list of installed modifications including the one you just added. Installing Vanilla mods can be a little bit tricky and time consuming only once but then then its easy. Download any vanilla mod that is compatible with your Minecraft version. In my case, I downloaded XRay mod. 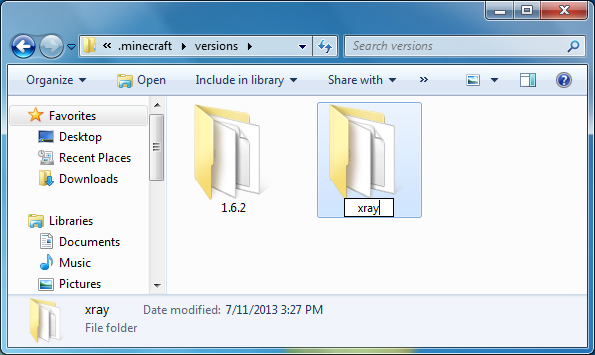 Now you need to open the Minecraft installation directory so you can put X-Ray mod files into the jar. 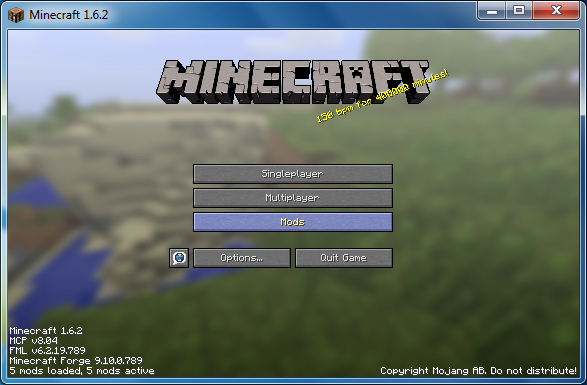 Go to Start Menu > type %appdata%/.minecraft/versions and press Enter key. We are not permitted to directly go to 1.6.4 folder and put the files into 1.6.4.jar because new launcher will overwrite everything. So, we have to create a new profile (duplicate) of original files and rename them so the launcher treats them differently. Now, From the versions folder. Create a copy/duplicate of “1.6.4” folder and paste on the same folder. Now rename the duplicated folder to any name. I renamed it to, xray. 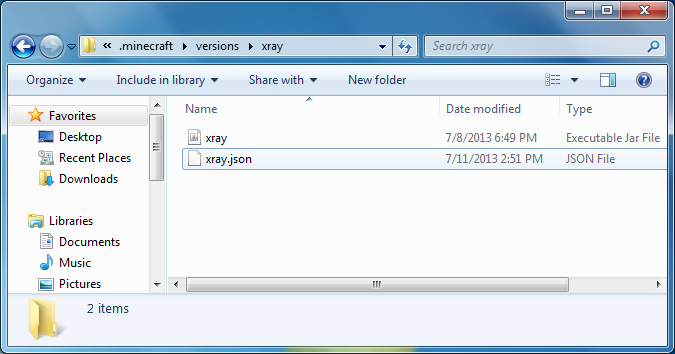 Open “xray” folder you will see 2 files, 1.6.4.jar and 1.6.4.json. You need to change their names. 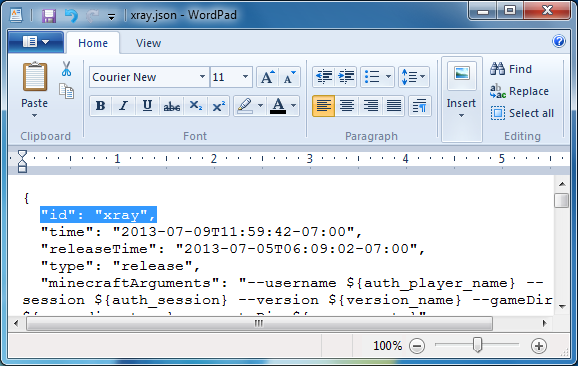 Open xray.json with any text editor, change the “id”: “1.6.4” to “id”: “xray”. 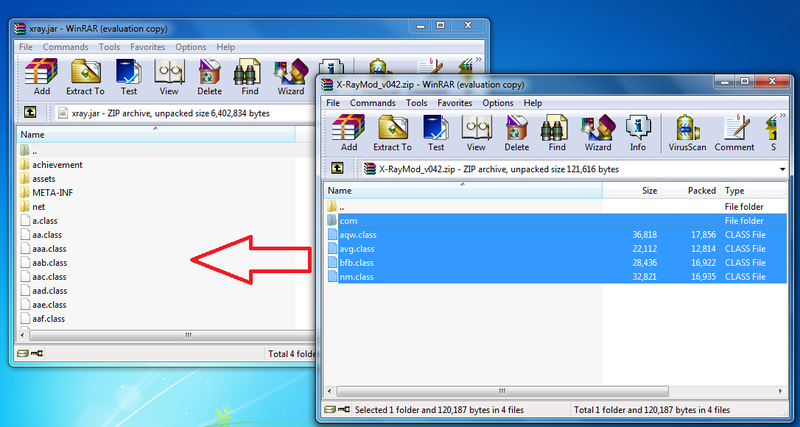 Now open xray.jar file with WinRAR including the Xray mod zip file that you downloaded. 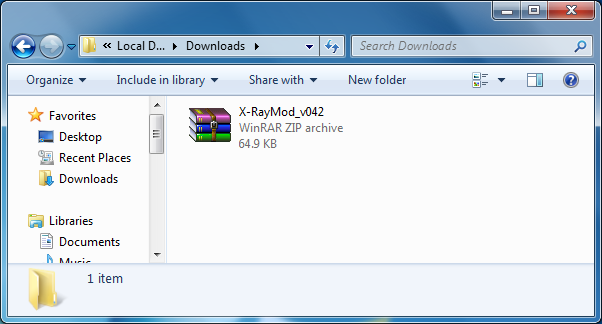 Drag and drop the contents of Xraymod.zip file to Xray.JAR file. Delete/remove META-INF folder from the JAR. 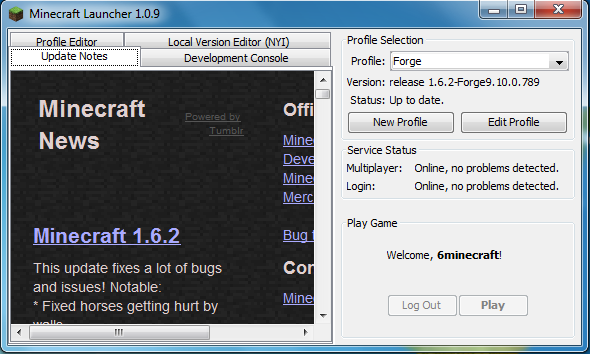 Now Open Minecraft Launcher, click [New Profile] button enter any name. From the “Use version” drop down menu, select release xray and click Save Profile. Now from profile selection, select the profile you just created, login your account and run the game. Create a new world or join a multiplayer server to test your mod installation. You need modloader to use such mods. Follow Vanilla mod instructions mentioned above and install Risugami ModLoader first. Go to Start Menu, type %appdata%/.minecraft/ and hit enter. Open mods folder, put any mod zip file that uses modloader as a base mod. You need to edit the JAR of either Minecraft Forge or Modded Jar (refer to Vanilla instructions) then put copy the .class files. Modded JAR is duplicate of original 1.6.4.jar but renamed, it is created/duplicated during installation of Vanilla mods. 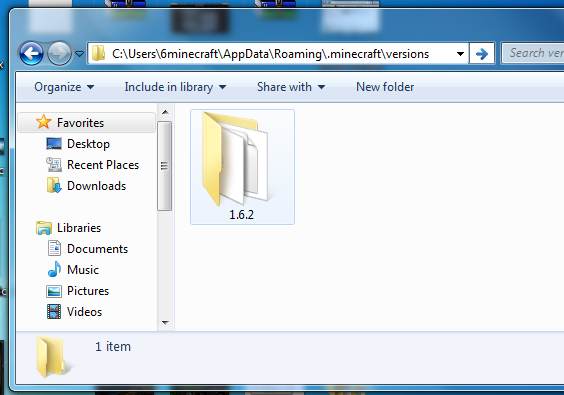 Backup your Minecraft directory and saves before installing any of the modifications. If you find any mistake in the guide above, please notify us. I did all the steps for Forge, and when I select the Forge profile and hit play, the game STARTS to load up normally, it shows “Mojang” and everything, but after that, it says it crashed. What!? my prop is like i name it .jar and i tryed open with it didnt show jar u know this propleem? 1. 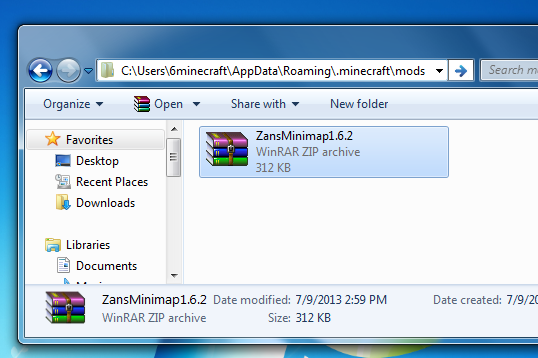 Making duplicate of Minecraft folder including jar and jsons files. 2. Renaming then and changing ID in JSON file. 4. Deleting the META-INF folder. 5. 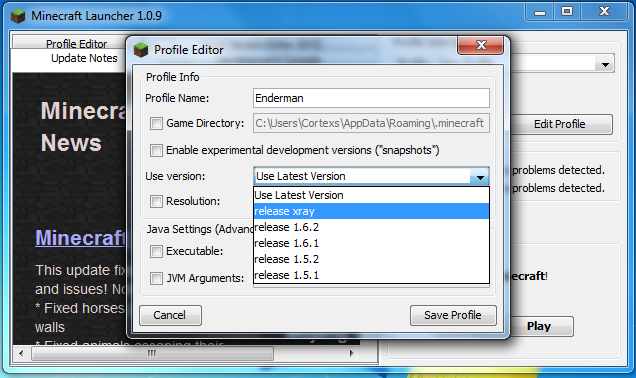 Selecting right Minecraft versions when creating launcher profile. I’ve installed 1.6.4 forge [upgraded from 1.6.2], but now when I paste the 1.6.4 mods into the mod directory, they do not appear in the mod list when I run minecraft. Do I need to do the steps you have listed on July 25 2013? What do i do if i want to use a vanilla and a forge mod at the same time somebody please help! rightclick the .json file, select open with (in bold text), select open with a notepad and do your thing! Whenever I open the Minecraft Forge, it shows a black windowed screen for half a second then turns off automatically, please help! It crashes after I choose a starter on pixelmon. Mine doesn’t complete downloading files ………. Whenever I try to open my forge launcher jar it keeps saying Error And doesn’t show that Minecraft forge wit OK button any help? i didn’t have the json file how ?? Worked perfectly; very informative thank you for taking the time out to help all of us who are new to the updated launcher. when i hit play, the launcher just closes and the pops up again! HELP!!!!! how do you get the mods? i know all that foilder stuff but how do i get the atchrurool mods? i seriously dont understand why no mods will work for me… ive seen/read like 20 different tutorials about how to install and did everything EXACTLY but none seem to be working for me… i keep getting crashes and resets… my version is 1.6.4 and using 1.2.5 launcher… the mods i want to install are the elemental creepers mod and the single player commands mod… not bashing this tutorial, i just really dont understand why this is happening… can someone PLEASE give me a one on one with this?? I remember about someone telling me about minecraft sometimes crashing when you install mods. Its a big pain when installing, but when your done and playing minecraft it becomes worth the pain… somethimes it isn’t though. seriously i name it jar TRYED and i tryed open with i didnt see jar wtf help! I really need some help here, guys. I installed Forge successfully and everything went fine when I ran it right after I installed it, but when I downloaded my first mod, it started to crash every time I I tried to run it. It would get to the Mojang page then crash! The mod I installed was a Shingeki no Kyojin mod, if it helps any. 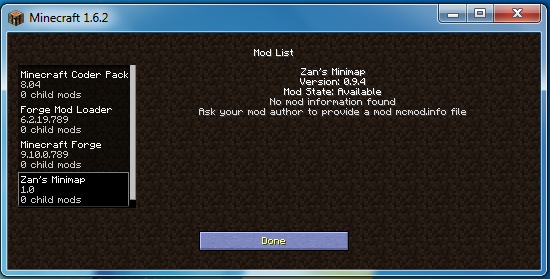 Also, as far as I know, the mod doesn’t make any direct changes to the version.jar (I’m using 1.6.4, by the way!). Trying to install industrialcraft2 says minecraft jar file cannot be found what do i do? Hey no mercy you dont look in versions after you install the mod and forge or modloader you play the mod will automaticly install. Consistent crashing after the mojang page when I try to load Bibliocraft. Not sure what else I’m supposed to do, but I’m working with a zip file. The only other mod I have is shaders, and that’s a .jar file. Any idea on what to do? I do all the steps but when i look at the bottom left corner of my screen it just shows three mods installed, fml, minecraft forge, and minecraft coder pack….can i get help?